Common household items, that is what telephones are. But are they art? Or even Art? Of course opinions and tastes differ widely. Nevertheless MOMA, the museum of modern art in New York has 10 models in their collection. 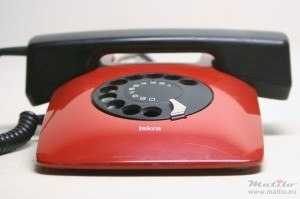 That is not counting the fact that of one model, the Iskra ETA 80, there is both a touch tone and rotary dial version and not counting wireless phones. As it turns out I have 8 of those 10 telephone models, including all rotary dial ones. So time to write something about that and make an overview. 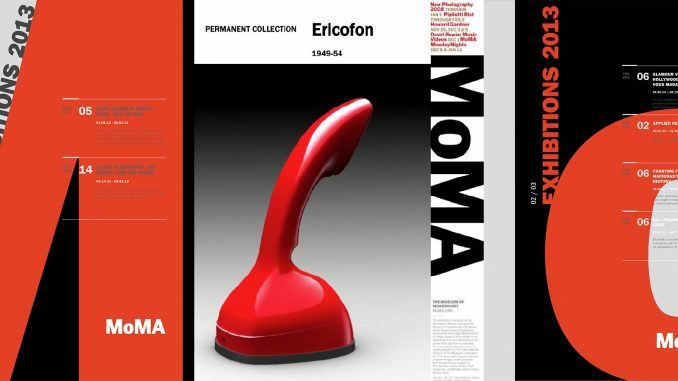 Of course the subject of MOMA is modern art, so you will not find any classic models among them from before modernist times. Common characteristics between these models is their simple and clean design, their functionality and their innovativeness. Please note that most of them are from Europe, 3 from Scandinavia, 2 from Germany and only one from the USA. Click on the titles for more information about these models. The oldest telephone design in the collection, from around 1928. Fuld/Telefonbau und Normalzeit Modell Frankfurt is considered a Bauhaus design. Designed for an affordable housing project in Frankfurt, according to the principles of the New Objectivity (neues Bauen). 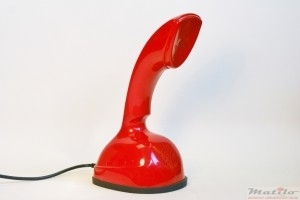 It was low, compact, ergonomic, and was one of the first to use a bakelite handset. It was very ahead of its time with the integrated cradle, one piece body shell and simple shape. 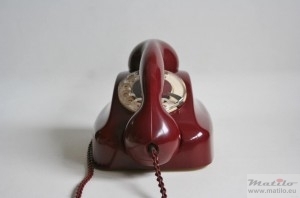 This 1931 design is in many ways it is similar to the Frankfurt: one piece body shell, bakelite handset, integrated hookswitch. But what sets it apart is that it has a one piece bakelite body shell, the first telephone ever to have that. It was that bakelite body shell that made it one of the most influential designs in telephony. 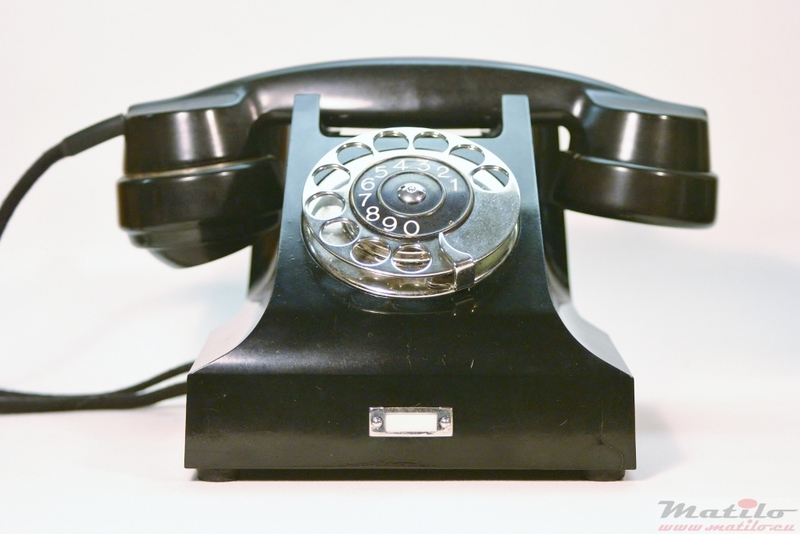 It was in production for many decades in one form or another and many designs were inspired, influenced or copied from it: from the Western Electric 302, the GPO 300, the French U43, the Soviet Bagta 51 to name but a few. 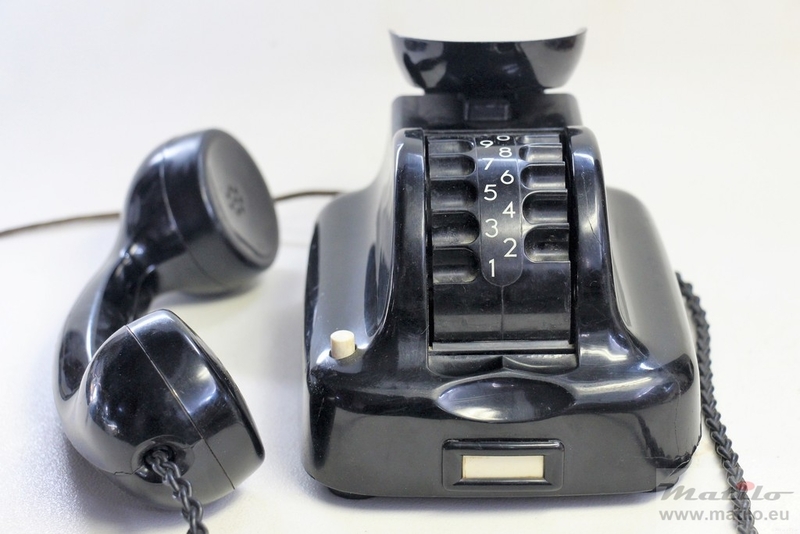 This 1954 Ericsson design was the result of the search for a practical one piece telephone, which was apparently the holy grail of telephone design in the late 30s. This ground breaking design made use of new materials, an innovative configuration and ergonomics to produce this unusual shape. It is the bedroom telephone, although it was designed with use from a hospital beds in mind. It was made in a huge number of colours. 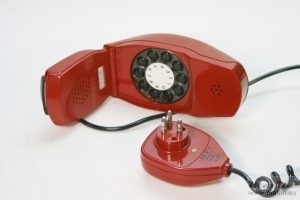 It also resulted in many similar designs by other manufacturers, but none were as successful as the Ericofon. Siemens & Halske had a go at rethinking the telephone too and came up with this, after their false start with the Trommelwähler (drum dialler). Like the Ericofon, they made maximum use of new plastics to come up with a new configuration. 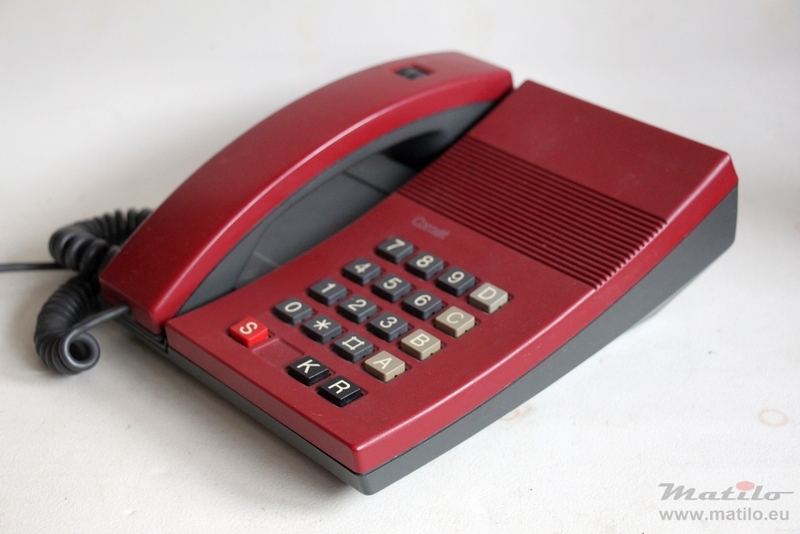 Not as colourful as the Ericofon, it nevertheless came out in 5 different colours, which was more that most telephone models of this era. It was designed for home and office, with many disciplines involved in its development resulting in this well thought out design. The Western Electric Trimline came out in 1965 and was an “alternative design that was stylish and easier to use than a traditional telephone” it says on Wikipedia. The illuminated dial was placed in the handset and al lot of the components were transferred to the handset, making it possible to reduce the body of the phone to just a basic cradle. This resulted in this sleek and clean design. It could be used as a desk top phone, but also be mounted on a wall. The Siemens (Italy) Grillo, cricket was also designed in 1965. Like the Trimline it basically is a handset with a miniature dial in it. This time however, the handset folds making it the first clam shell design. It does not have a base like the Trimline and the ringer is built into the plug. The dial does not have an exertnal fingerstop, which is quite unique. These 2 features allow the phone to be relatively small. Its small size and not having a base, make this phone very mobile. The first push button on the list, the GNA F78 was simple, minimalist, clean and yet versatile. 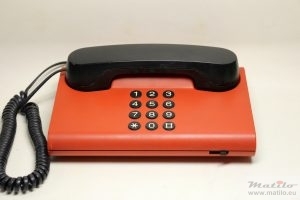 Being a push button telephone and therefore electronic, it has a printed circuit board. This allows this nove shape. 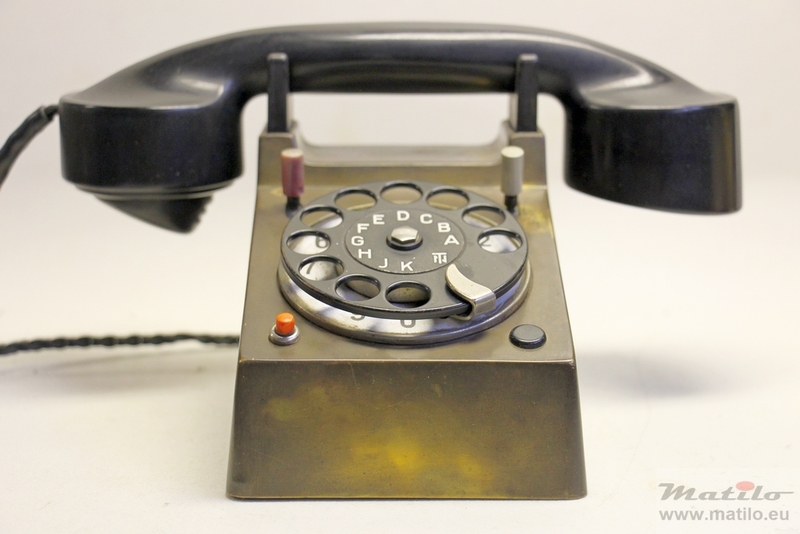 Even though it is an electronic telephone, it still has a mechanical ringer with 2 gongs. Originally designed for the Danish market it found its way to many other countries. Often called just Iskra, but that it is the name of the manufacturer. Introduced in the late 70s its shape is similar to that of the ideal fast aerodynamic car of the time. I think this is a bit of an odd one in this list. 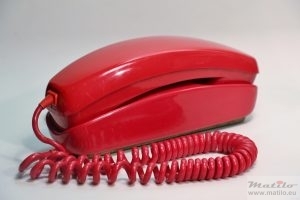 While the others have several innovative features, this one seems mainly sleek and flat but otherwise a common desk phone. Another striking feature of this model is the fact that the dial is recessed into the body. Well, am I going to find the other 2? I looked into that before I wrote this article. The first one is a model called Space Tel-telephone by Kingsley electronics. I could not find one for sale anywhere and the only mention of it I could find was on art & design website. The other is an Italian design called Enorme by Ettore Sottsass. Those that are for sale have an asking price of 100s of Euros. That is more than I paid for all the MOMA phones that I already have put together. Is your favourite design phone on the list? Well, are these telephones art? At least some people like to think so, as is reflected by the market value of some of these models, like the Frankfurt. Personally I like phones that are not just looks or just technology, but rather a that the aesthetics add to its functionality. I can understand that these made it into the collection of MOMA and that some others have not. I especially like the first 4 on the list, but my favourite phone, the Heemaf 1955, is not on it. And I like the Fg Tist 264 Trommelwähler too. But why is the F78 on the list, but not Jacob Jensens Standard Electrik Kirk 76E? So, is you favourite phone on this list? Should it be, and why? Please leave a comment below.